How well your investment performs over the years can make a significant difference to your retirement. We all understand that, and that’s why people take an enormous amount of care when selecting an investment vehicle in which to place their money. You will have done it yourself—pouring over performance charts and making comparisons. But once your money was tucked away safely, did you just sit back and forget about it? Or did you continue to monitor the performance of your fund to ensure you are seeing a return on your investment. You should have done, as a new edition of the RedZone report has identified that there’s more than £110 billion invested in underperforming funds. This figure has risen by 10 percent since last year, which means that more investors are seeing their money underperform; the sector average for three years running without a manager or process change. The funds offering the worst return on investment tend to be all-company tracking funds which are tied to the market—when the market falls, they fall with it. Remember the small print—the value of your investment can go down as well as up? If you’d invested in one of these funds, that’s what would have happened. This is absolutely true, so the real question is how do you know whether it’s a short-term slip or the beginning of a significant loss? You can never be absolutely sure. Certainly, there are celebrated cases of funds taking major tumbles before many years of spectacular gains—but that’s hardly something you can rely upon. “Buy and hold” isn’t always the safest approach to investment. There are times when you might be better off placing your money elsewhere. So how do you know when to jump ship? This, of course, is the question that hedge fund managers are paid millions to predict the answer to. But where does that leave the individual investor who doesn’t have the specialist knowledge and analytical resources to make an informed judgement? Be clear from the outset what your own return on investment goals are and monitor if they’re being met. In other words, if you wanted income, does your investment provide it? Or was your focus on capital growth? Compare performance—even the most risk-averse investment should make a better return than cash in the bank. If you chose something slightly more risky, has it outperformed inflation? And if you opted for high risk, has it done better than the stock market average? Don’t sell your asset at the first hurdle it fails. You need to track performance over time. Most advisers suggest that checking performance over two to three years will give you a good indication of whether you should stick or sell. However, it’s not easy to make a judgement call when large sums of money are involved and your financial future might depend upon it. It shouldn’t be an emotional decision and it shouldn’t be rushed. Given the factors involved, the best thing to do if you think your investment is underperforming is talk to an independent financial adviser who’ll be able to give you advice on what to do next and where you might better place your investment. 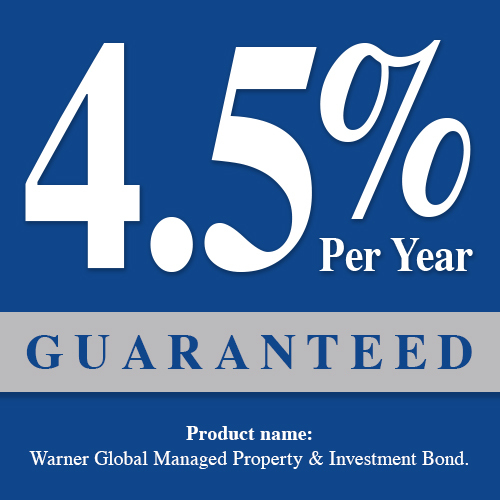 If you’re concerned about the performance of any of your investments, get in touch with Pryce Warner and one of our investment experts will happily take a look.